Q: We’ve lived here for 20 years and never heard of fresh-hop beer until we read your Sunday story about it. Is the season over? Where can we sample some? A: You still can! But you need to, ahem, hop to it. Fresh-hop season is winding down. Many breweries have either sold out or are down to their last keg. To the uninitiated, fresh hops are beers made using crops that were just harvested that morning. 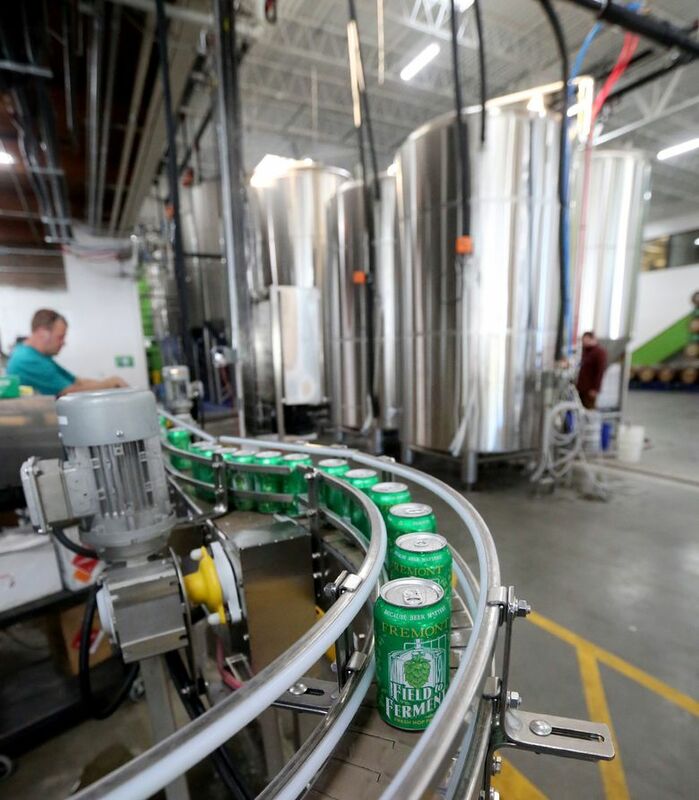 The flavors are piquant in a fresh-hop beer — some robust floral and piney notes — but without the sharp, bitter finish found in typical IPAs. That’s why many patrons who don’t like bitter brews dig fresh hops. Cloudburst Brewing makes some of the best hoppy beers on the West Coast. Located near Pike Place Market, its taproom still carries a handful of fresh-hop beers on tap. Another tried-and-true is Fremont Brewing, which consistently makes stellar fresh hops every fall. Check out its Cowiche Canyon Fresh Hop Ale, along with a couple of hazy ales. The brewery projects it has enough to last through Nov. 1. But the best kept-secret is Growler Guys, which, as of this writing, still has a dozen fresh hops on tap from Oregon and Washington. It’s your best one-stop hop shop. Q: I have a stupid question. Is orange wine made with oranges? A: Not a stupid question. I’ve seen a few diners ask their servers that. Orange wine has become the new rosé. At least that’s what several bistros and bars are pushing. It’s white wine fermented with the skins on, which gives the juice that hue. (In traditional white-wine making, the skin is discarded.) That extra layer gives white wines a different flavor and texture. These “skin-contact wines” sometimes have a savory or umami punch to them. It’s been the hot wine around Capitol Hill since summer. The new wine bar Footprint Wine Tap features orange wines from the Northwest and Europe as part of its fall and Halloween specials. Marseille bottle shop and cafe, located inside Melrose Market, has done flights of it in recent months. In the Central District, L’Oursin, which boasts the most exciting wine list around town, carries some of the best in Seattle. Sources include Hood River’s cult brand Smockshop Band Winery and Willamette Valley’s Paetra Wine. Oregon, along with the Okanagan Valley in B.C., makes the most interesting orange wines in the region. A good value is Troon Vineyard in southern Oregon, which recently released its orange riesling wine in Seattle for only $20. Many hip restaurants such as Ursa Minor on Lopez Island also pair the wines with dinner. These big-tannin wines go well with cured and red meats.